A pilot stranded in the desert awakes one morning to see, standing before him, the most extraordinary little fellow. "Please," asks the stranger, "draw me a sheep." And the pilot realizes that when life's events are too difficult to understand, there is no choice but to succumb to their mysteries. He pulls out pencil and paper . . . Thus begins this wise and enchanting fable that, in teaching the secret of what is really important in life, has changed the world forever for its readers. 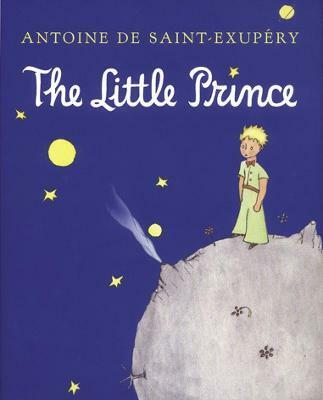 Often seen as a symbol of childhood innocence, Antoine de Saint-Exupery's best-selling book The Little Prince is cherished by children and adults alike across the globe. Ideal for children aged 7 and up. This beautiful edition contains the definitive translation and all the original illustrations. The Little Prince joins the ranks of A Little Princess, The Secret Garden & Peter Pan as a genuine children's classic of the twentieth century. Antoine De Saint-Exupery was born in 1900 in Lyon. In 1921, he began his training as a pilot By 1926, he had became one of the pioneers of international postal flight. In 1935 he embarked on a record-breaking attempt to fly from Paris to Saigon. Nineteen hours into the flight, his plane crashed in the Sahara desert. He survived the crash but spent three days battling dehydration, limited food and hallucinations. On the fourth day, the was rescued. In part, this experience was the inspiration for The Little Prince. He continued to fly until World War II, during which he took self-imposed exile. On 31 July 1944, he disappeared over the Mediterranean while flying a reconnaissance mission.